Villa del Palmar Flamingos is one of timeshare leader The Villa Group’s most popular condominium resorts, offering 5 star accommodations and facilities in Riviera Nayarit, on the Pacific Coast of Mexico. The Villa Group is a respected timeshare company with nearly 30 years experience in developing resorts in Mexico, renowned for delivering excellence, value and unforgettable vacations. 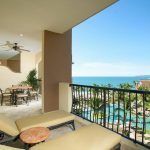 One of the group’s greatest attributes is its ability to select destinations where timeshare owners will want to return year after year, and Villa del Palmar Flamingos is just that – the perfect vacation destination. Riviera Nayarit on the Pacific Coast of Mexico, close to Puerto Vallarta, is an idyllic tropical stretch of coastline with sandy beaches, shallow water and a selection of the world’s best resorts. 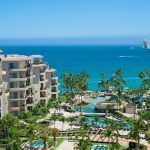 Villa del Palmar Flamingos is located in an exclusive area that boasts easy access to the city of Puerto Vallarta as well as Punta de Mita on the northern tip of Banderas Bay. Only 25 minutes from an international airport. This magnificent Villa Group resort has everything you could ask of an exhilarating timeshare vacation. It has an impressive swimming pool with different depths that acts as a stunning central point to the complex’s elegant landscape and boasts direct access to the sandy beach and sea from the poolside. All this, complemented by exquisite cuisine and services. The resort is also celebrated for its Tatewari Spa, which has a range of European and asian treatments, wraps and massages to keep guests in a state of delightful relaxation. For those looking to keep the abs and biceps in shape, the world class fitness center is on hand to keep the delicious calories consumed in check. All of the luxurious suites have air conditioning and spacious balconies or terraces. 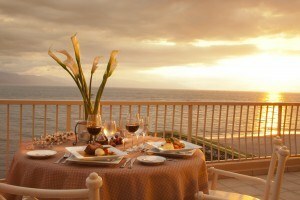 Each has its own stunning view whether of the sea or the lush resort gardens. Timeshare owners will be amazed at the spaciousness of their units which are big enough to live in. The resort is in the perfect location for golf lovers with a selection of first class golf clubs at your doorstep. There are also a whole host of activities to undertake on land, such as ATV tours, zip line adventures, mountain biking and so on, in addition to water sports like jet skiing kayaking, snorkeling and diving or even whale watching. There is no danger of boredom in Riviera Nayarit and timeshare owners will find something different to keep them entertained year after year.